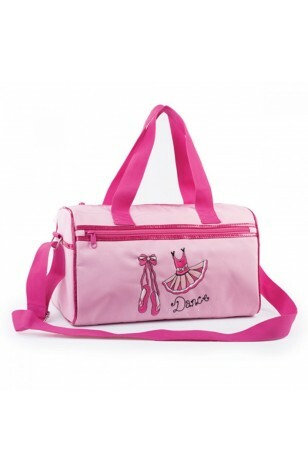 Featuring Ballet shoes, a tutu dress diamantés and a Glittery trim what more could you ask for on a ballet bag? Great size to fit ballet shoes, tap shoes and a leotard in and still have space! Can be carried or worn over the shoulder. Features carry handles, adjustable strap, a main zipped compartment with a further inner zipped compartment and an external zipped compartment. 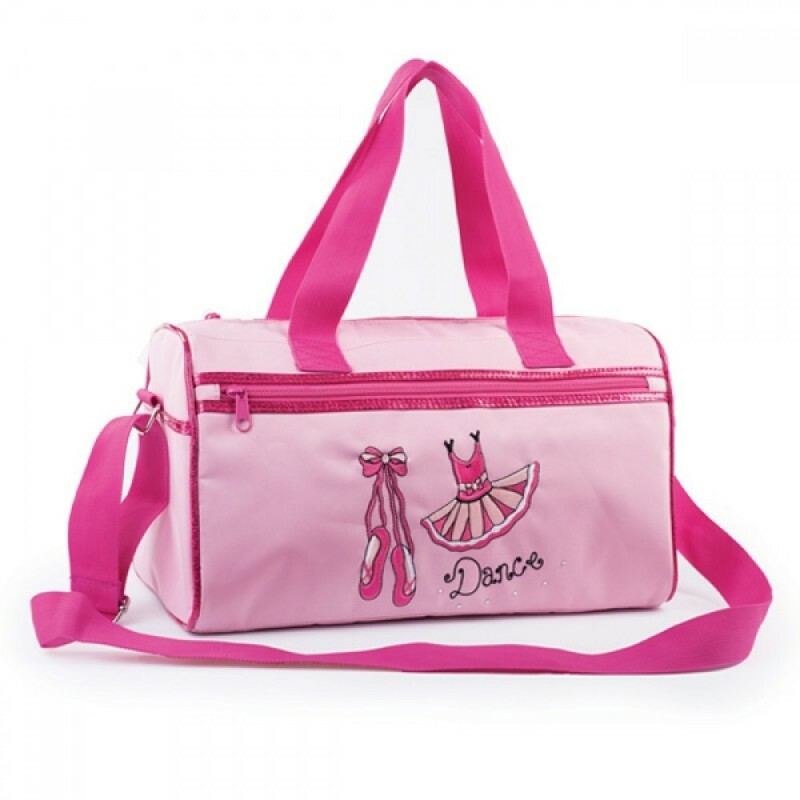 Featuring Ballet shoes, a tutu dress diamantés and a Glittery trim what more could you ask for on a ballet bag? 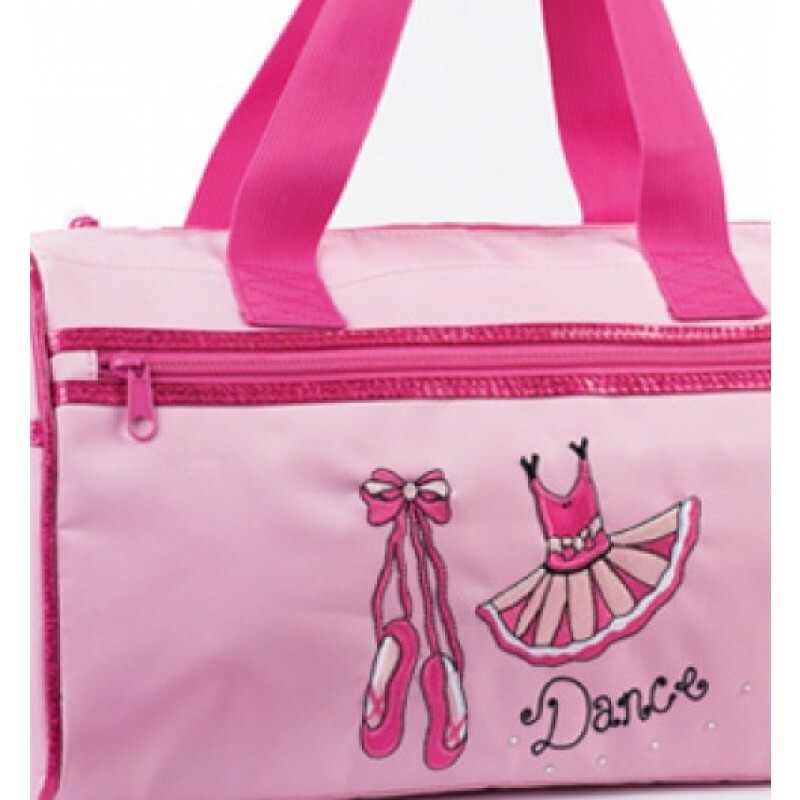 Great size to fit ballet shoes, tap shoes and a leotard in and still have space! Dimensions: 25cm H x 35cm W Can be carried or worn over the shoulder. Features carry handles, adjustable strap, a main zipped compartment with a further inner zipped compartment and an external zipped compartment.